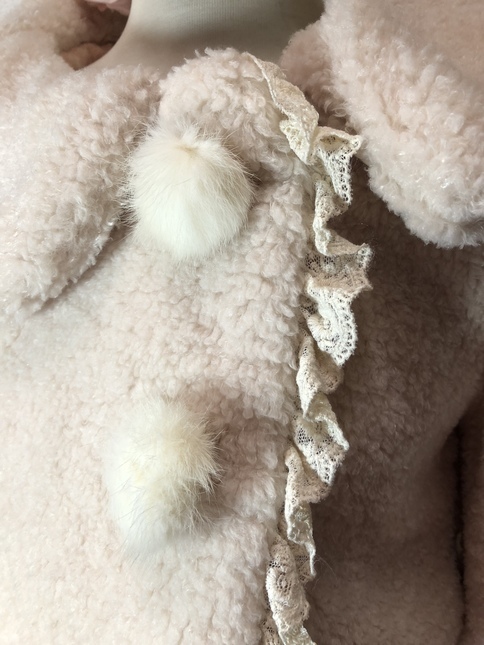 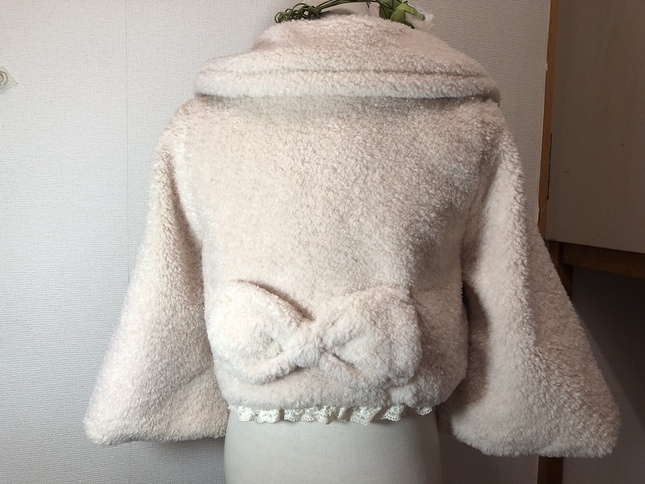 The material is a super soft and warm fake fur in lambfur look. 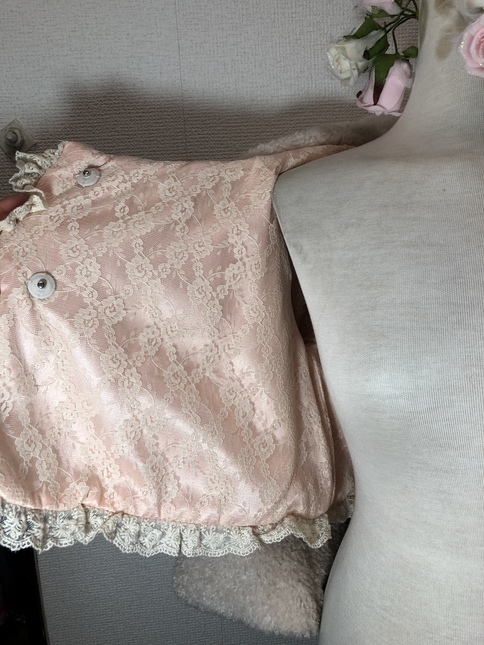 Has a super cute pink lace lining. 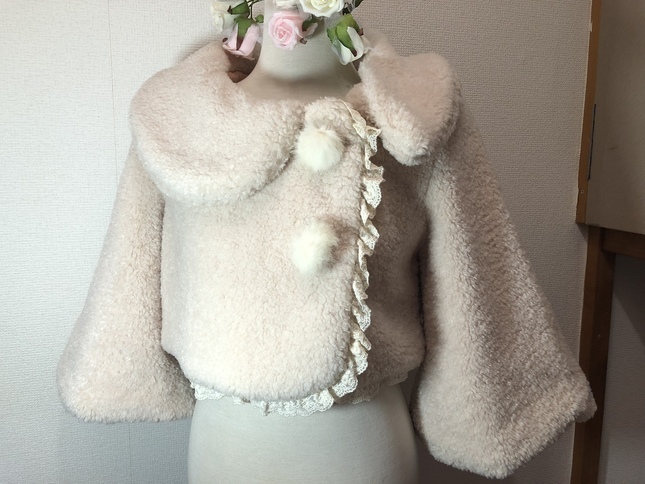 Perfect for spring & autumn.